Karen hasn’t slept through the night in years—she’s too worried about her son Mason making it through high school. He tried two different schools and now takes online classes, but that’s not working, either. Karen has resorted to sitting with him for three hours every night (after coming home from her full-time job) to help him through his homework. She’s given up trying to make him take the ACT or SAT tests for college. Karen’s just focused on one goal—Mason graduating from high school. She’s not sure what will come after that. Mason hated school. He struggled with ADHD symptoms and a mood disorder. He was sullen and withdrawn, or angry and loud. The whole family tiptoed around his moods. He had no desire to keep going to school. College was the last thing he wanted to do. But he didn’t want to get a job, either, and have someone telling him what to do. Mason is like many of our teens; he is plenty smart but struggles with all things school-related—from attending classes to doing homework to talking back to teachers to failing grades. And Karen is like many of us parents; she is focused on the goal of graduating her challenging teen from high school. But are we really preparing our kids to launch into their adulthood? What Comes after High School? Karen and many of the other parents I work with see the diploma as the prize at the end of a long, difficult and arduous journey. There’s this blind hope that graduating somehow correlates to being a young adult. The problem is that most of these kids have experienced much of high school as a battle—or as one of my boys told me, “It’s a gauntlet to survive—and the reward is to be free of school.” Okay, but then what does he plan to do? Go home and lick his wounds? Or be ready to stand as a strong, capable, and responsible adult? 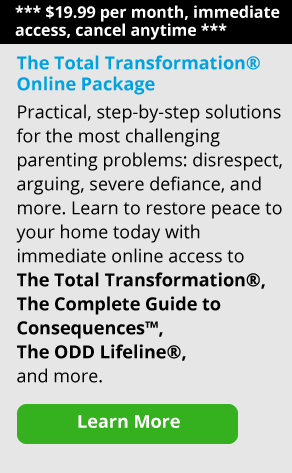 Keeping teens with behavioral and/or learning challenges successful in school can take an enormous amount of energy for both the student and their parents. The idea of adding more expectations can seem extremely overwhelming. However, it is essential for your teen to leave high school not only with awareness and acceptance of his or her learning challenges, but also with the capabilities to acquire the accommodations they will need in college, vocational training or in a job. Without these learned skills, your teen’s struggles as an adult may be much more difficult than his or her problems in high school. It is vital to learn these lessons in high school as the adult world is much less forgiving than high school—and young adults with behavioral or developmental problems often experience deeper feelings of failure as they move into their adult identity. And for parents, if your teen is underprepared emotionally, academically and socially, there is another fear—that they will never leave! 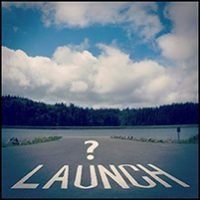 Guiding our kids to a safe and successful launch into adulthood is a process. One big piece is ensuring our teens know and can accept their challenges, so as they move into adulthood, they also move into self-advocacy. My son has a long list of diagnoses including ADHD and ODD. He never liked school and was always in conflict with teachers, both with expectations and with what was being taught. When we let go of getting a diploma and began an inquiry into what he needed to become a successful, happy and healthy adult, he finally listened. We decided that he would instead get his GED. It was a surprisingly easy process and one that eliminated almost all stress for him and for me. Like Mason, he hated school and was becoming angry, bitter, unmotivated and distrustful of all learning. When we finally took high school off the table after a life-altering accident that left him physically disabled, he taught himself chemistry and physics. He started online classes at a community college and has an eventual goal of college. His injuries meant we had to change our focus and that I had to let go of the diploma track and guide him to what made sense for him. In school he had accommodations for his ADHD. But we didn’t really talk about how the ADHD issues affected him in other ways and what he would need in the adult world. Without the constant barrage of “You need to focus—You’re a bad kid—You won’t succeed” that he experienced every day in school, he could shed that negative image and see himself as whole, capable and likable. Do review all accommodations. Go over all accommodations (or modifications if your child has an IEP) your child receives at school and at home. Accommodations are supports and approaches that a person uses to give them more equal footing to accomplish the task at hand. In school that can look like more time on tests, use of fidgets for movement needs or headphones to reduce distractions, using apps and smart phones and timers, emailing homework to teachers, preferential seating, having teachers provide lecture notes, etc. My son needs headphones to focus on school work and can’t deal with a lot of noise or people around when he is trying to concentrate. Now he asks for what he needs. But he had to know what did and did not work for him before he could advocate for his needs. Do support your teen in finding an organizational system that works for him/her. There are apps for smart phones, tablets and computers that can help plan out big projects, ring when something is due and organize notes and outlines. Using a written planner may work for you, but not for your teen. Do work with them to learn how to talk to those in authority. Learning how to talk to teachers, coaches, and bosses and make requests is a life skill. Start with a teacher who seems willing to help. Parents can talk to the teacher first and ask them to respond positively to the teen’s email, for example. Start small, with something simple. Don’t rescue your child. Look for alternative ways that your child can accomplish the tasks of school and home. Do they need to scan and email homework to the teacher (instead of forgetting to turn it in)? Do they need to use a laptop in class? Could they attach a card or luggage tag to their sports bag with a list of what they need to play? Help them learn how to help themselves by becoming more responsible. Don’t belittle them when they mess up. Saying things like, “No one is going to want to hire someone like you” isn’t helpful. No one responds well to criticism. Look for the emerging adult in your child instead. What is he or she doing well? Tell them about that. I know for me it helps me see the bigger picture and to trust that my son will be a functional adult, even if it takes him longer to get there. Don’t plan their future without them. While we need to set high expectations, we make it very difficult for our young people to not go to college. We treat it like a failure instead of just a choice. Like Karen, I tried to get my son a high school diploma. I bribed and begged big time. But he said no. I could have seen his refusal as an omen of a bad future, but eventually I saw it as the powerful, important and mature initiative it was; he was becoming his own self-advocate and determining his own future. That is the hardest part about witnessing our children becoming adults: they make decisions we don’t always agree with, but they have the right, and the responsibility to do so. I have to trust my young adult son to create his own good life. That doesn’t mean I have given up; rather, that I have given him control. And as he figures out his adult life, he now knows I have his back. I know that a list of “dos and don’ts” makes the process sound much easier than it is. So many factors meld together to challenge us and our teens. I had a job the day I turned 16 and moved out at 17 while attending college…which I paid for myself. In my town, most high school kids don’t have jobs, so they can focus on high grades. I am not convinced this gives young adults the tools they need for the realities of today’s society. Too often we complain to the principal to get our child switched out of a class when they don’t like the teacher. But it’s an important skill for a child to learn how to get along with someone they don’t like. What if they learned more about the traits of fairness and high expectations and excellence? In college, my nieces reported that the parents of her dorm-mates called every day to see what their child ate, and called the dean if they didn’t like a grade their kids got. Those students were partying nightly and called their parents for money when they ran out. Imagine those kids out in the workforce. That may seem like an extreme example, but it demonstrates the slippery slope of over-helping our teens. When we do that, we undermine their experience of success and accomplishment. We “do it for them” so they don’t have to be accountable. We demonstrate with words and actions that we don’t think they are capable. Is that helpful to our teens or to us? Our society has created the expectation that 18-year-olds can live on their own, do well in college and make good choices. We laugh at the parody of young men who can’t do laundry (so they hire the female students do to it) and yet we send our kids to college with a car and the assurance that “Mom and dad will take care of it if something goes wrong.” Growing up is not easy, and it shouldn’t be a cake walk. When we fail and get back up to try again, we learn who we are, how we operate and we own our success. Isn’t that what we all want for our children?